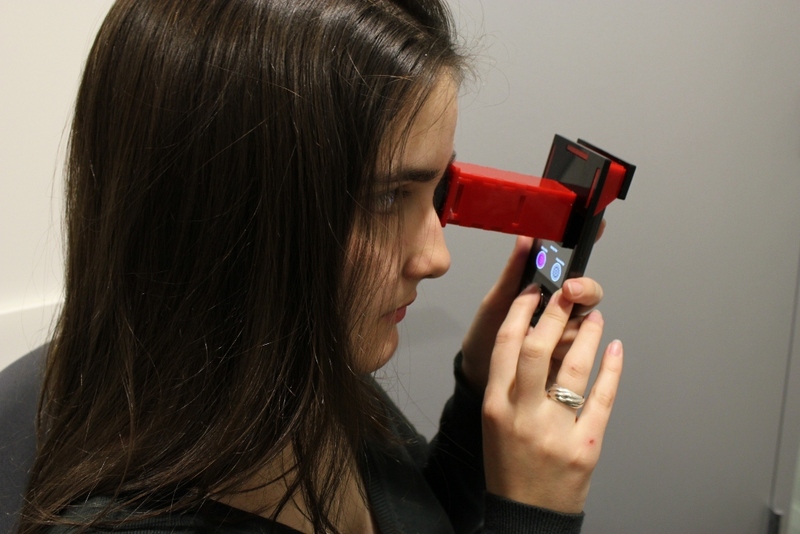 A co-design of optics and interactive software. Collimated beams of light scan through sub-apertures of the crystallin lens in order to screen for cataract opacities. 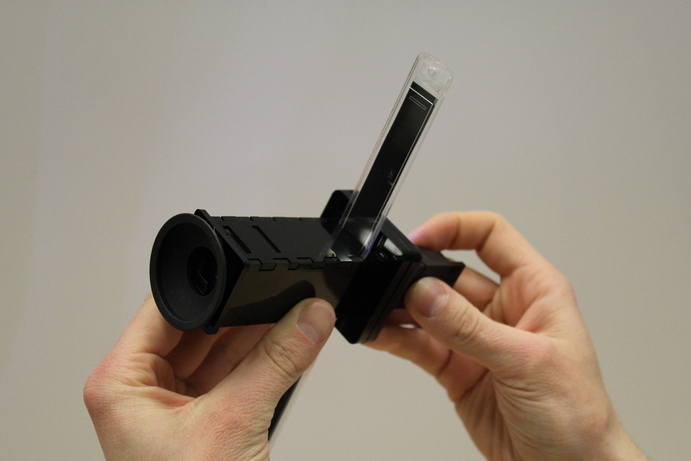 There are no moving parts, to increase safety and accuracy of the technique, and the device can be composed of a smart phone with a clip-on attachment. Four interactive methods to assess size, position, contrast and point-spread function (PSF) of cataracts in the human eye. There’s no need for a trained clinician since the interaction if very simple and based on straightforward visual tasks. 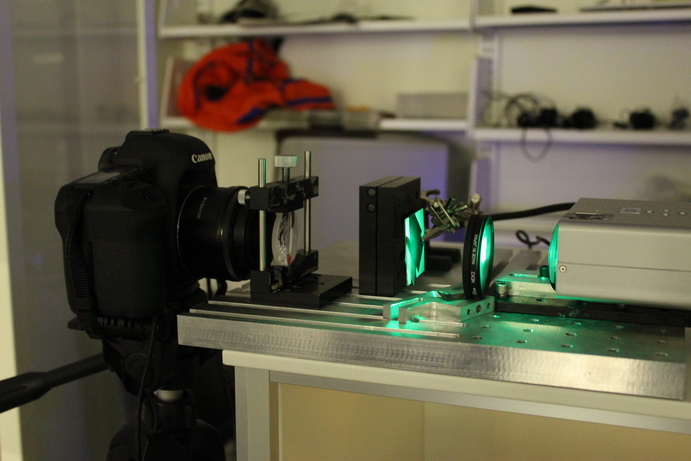 These methods can also be used to detect opacities in other types of optical systems such as camera lenses. 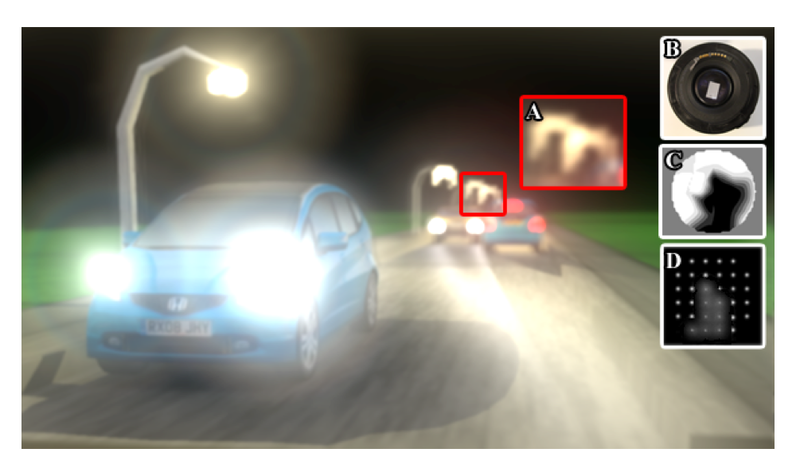 A rendering module that simulates the vision of a cataract-affected eye, based on the real data extracted from the test on an individual. This image-based simulated rendering takes into account physical phenomena such as diffraction and depth-of-field, based on detailed eye parameters such as accommodation, pupil size, and the maps generated by our device in a cataract screening test.